LANSING, Mich. - The Lansing Lugnuts announce that Cooley Law School Stadium will be the host site for the annual Rugby match between Michigan State University and the University of Michigan Club Rugby teams, the Battle for the Mitten, on Friday, October 19th, at 7 p.m.
Cooley Law School Stadium has previously hosted a wide variety of special events, from concerts and beer festivals to weddings and competitive runs, but this is the first time a sport other than baseball will be played on the field - and it will be held the day before the Michigan State/Michigan football game at Spartan Stadium. "The Battle for the Mitten is a great opportunity for both universities. As two of the oldest clubs on campus, we are proud to demonstrate the significant growth Collegiate Rugby has seen over the years," said Josh Ressio, President of Michigan State University Club Rugby. 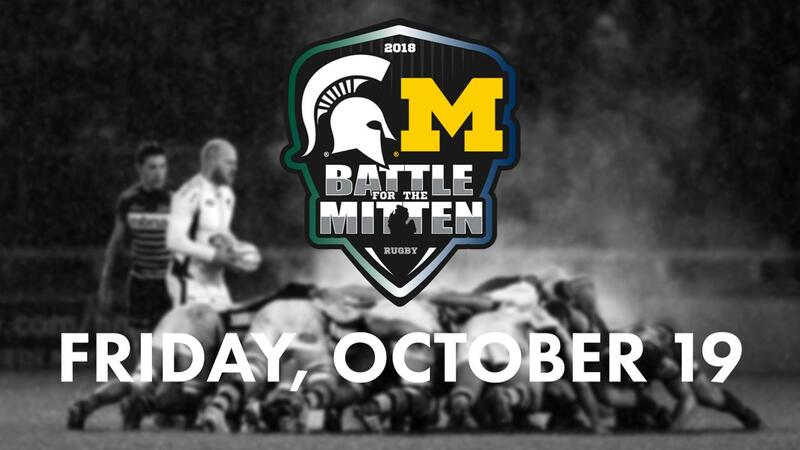 "The Battle for the Mitten began as an ambitious idea and is now an exciting reality and a great addition to the rivalry between the two schools. Cooley Law School Stadium is the perfect place to have our match, in addition to a showcase of the wonderful city of Lansing." "This is an amazing opportunity to bring a sport that has not only local appeal but international appeal to our great facility," said Malinda Barr, Director of Special Events for the Lansing Lugnuts. "The Battle for the Mitten will provide another outstanding avenue for fans to partake in the Michigan State - Michigan rivalry. We're excited to welcome fans from both sides to Cooley Law School Stadium." Tickets for the event can be purchased at lansinglugnuts.com or battleforthemitten.com. General admission bowl seats start at $10, VIP at $20, and The Clubhouse at $35. Tickets for the All-You-Can-Eat Pepsi Porch can be purchased for $35, and suites can be reserved by calling the Lugnuts at 517-485-4500.